Item Number: 10-92-02 18517 Actual Weight: 1.5 lbs. Adjustable hole punches have chip tray for easy emptying. 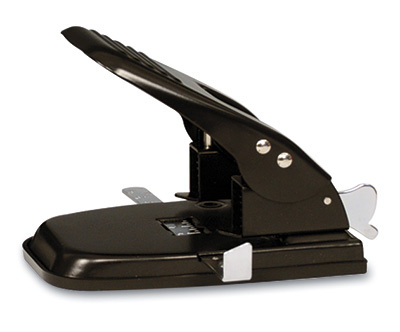 2-hole punch style has steel construction for extra durability and adjustable chrome-plated paper guide.